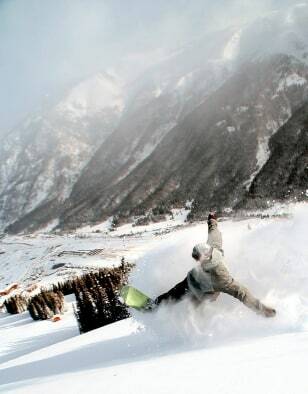 Jeff Potto rides his snowboard down the slope at Copper Mountain Ski resort near Frisco, Colo. Seven of Colorado's 26 resorts were open Friday with limited runs, including Breckenridge, Copper Mountain, Arapahoe Basin, Winter Park and Wolf Creek. At least three have postponed opening dates from Friday to next week or later.